Here is a pack of pooches that form a delightful coloring book for dog lovers. Flowers, paisley patterns, and other ornaments highlight pictures of dogs on road trips, digging fossils, and reveling in nature. 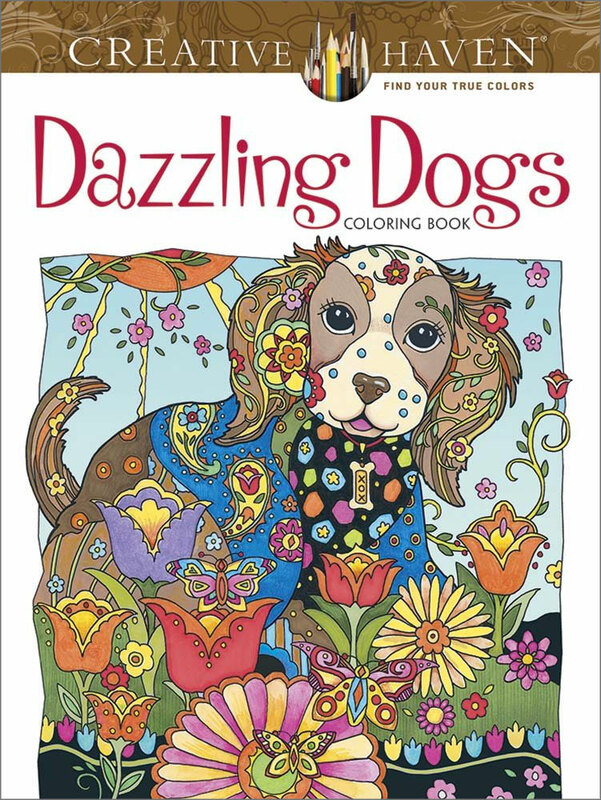 With 31 illustrations, Dazzling Dogs is designed to be a colorist’s best friend.